Mentoring is often looked to as an important opportunity to build confidence and access career guidance, but what is often underestimated, is its ability to encourage perseverance and continued excellence to achieve your career goals. In mid-October, the Financial Management Association of Australia (FMAA), awarded Bachelor of Commerce student, Shirley Tang, its First Year High Achievers Award, in recognition of her academic achievements and strong involvement in the university community. The key objectives of a student run organisation are to give back to both members and sponsors. The FMAA awards recipients the opportunity to position themselves beyond university, developing their leadership and professional skills and encouraging them to give back to the BCom community as an expression of self-development. While the award provides Tang with $2000 towards educational expenses, it also affords her the opportunity to receive mentoring from Tom Fraczek, an Associate Director at Macquarie Group, a priceless experience. Macquarie, a long-time supporter of FMAA prides themselves on the motto “The best investment you can make is in yourself” and Tang has been busy during her first Semester in the BCom trying to embody this ideal. She has participated in the First Year Leaders Forum, two case competitions, has written for the University’s CAINZ Digest and is an ambassador for student club SAMM. Tang is also part of the University’s Debating Society and regularly attends industry events like KPMG’s Leading Ladies Evening. 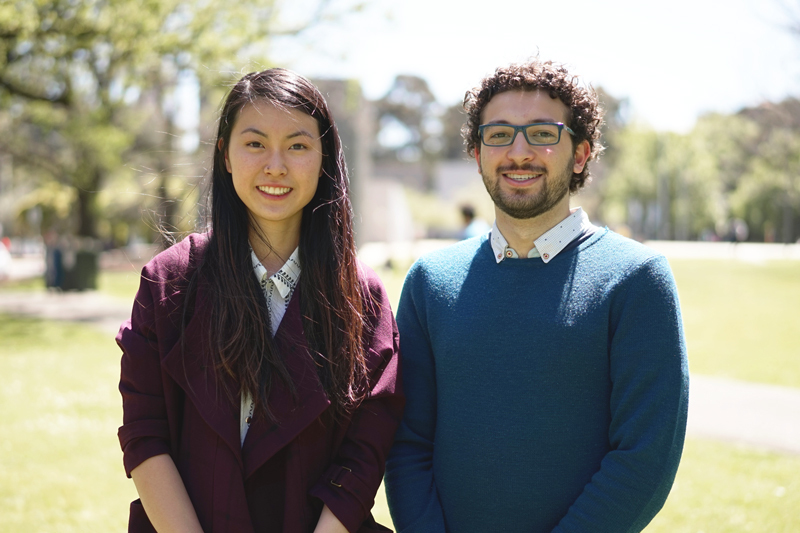 The Financial Management Association of Australia was established in 1990 at the University of Melbourne to foster business connections and recognise the importance of networking. Now a national student society, with over 4,500 members, FMAA actively promotes the career awareness of students and facilitates involvement in business-related activities including their highly successful Professional Development Workshops, Case Competitions, Corporate Cocktails and Down-To-Business dinners.